On Wednesday, January 16, the Carrboro Varsity and JV swims teams competed at Edison Johnson Aquatic Center in Durham, North Carolina. The teams raced against returning rivals, DSA (Durham Schools of the Arts) and NCSSM (North Carolina School of Science and Math). There were high school practices scheduled after the swim meet so due to this, the meet started at 5:00 pm and had to end by 6:30 pm. Even with the need get out of the water, Carrboro was able to bring in a good number of points. The girls pulled in two firsts, scoring 74 points against the 19 points from NCSSM and 76 points to 18 points against DSA. Boys brought in a single first, scoring 50 points against 44 points against DSA. They also placed second, scoring 26 points against 68 points for NCSSM. Overall, the boys, and especially the girls, did very well. Notable swims included sophomore Jackson Lee, dropping nine seconds on his 500-freestyle, as well as dropping three seconds on his 200-freestyle. On the girls side, sophomore Sophia Lee dropped 6 seconds on her 100-breaststroke, while junior Bridget Buchanan dropped six seconds on her 50-freestyle. 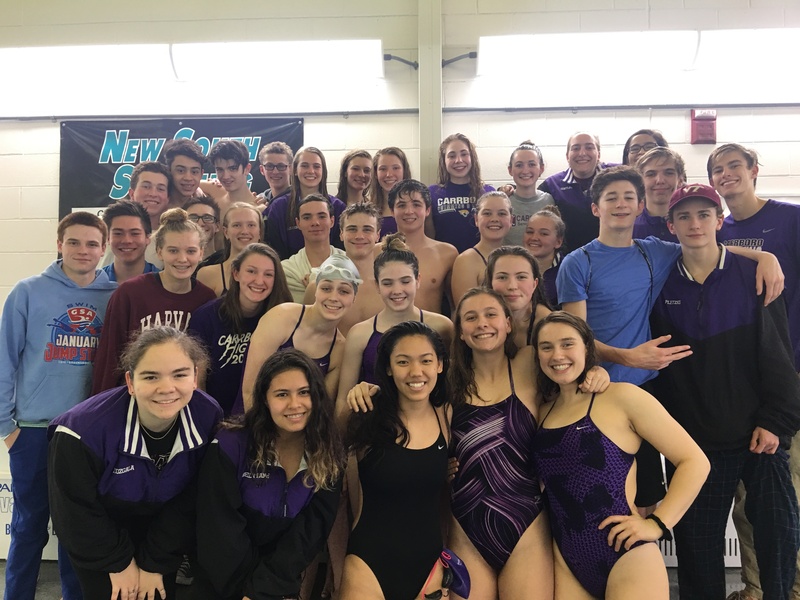 With the season coming to an end; only a few meets left, then regionals and states, the Carrboro swim team looks to be ending their season on a good note.